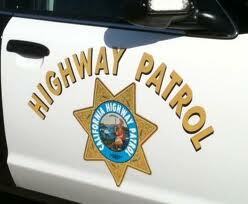 A 39-year-old San Luis Obispo woman was killed Tuesday morning in an accident on Highway 101 near the Wellsona Road truck stop north of Paso Robles, according to the CHP. Shortly before 5 a.m., 44-year-old Nathan Martin of San Luis Obispo was driving a 2003 Saab southbound when he collided with the rear wheels of a semi-truck that was crossing lanes after entering the highway. Officers freed both Martin and his passenger, who was pronounced dead at the scene, from the Saab. CHP officials are not releasing the woman’s name pending notification of her next of kin. Emergency personnel transported Martin to Sierra Vista Regional Medical Center where he is being treated for major injuries. The driver of the semi-truck, a 29-year-old man from Florida, was not injured. The CHP is investigating the collision and has not yet determined which driver was at fault. It’s not always the truckers. Traffic never stops and at some point they must cross the road. Can anyone say “Defensive driving”? That’s what I was thinking. Did the guy even brake? Until all of the truck crossing have been removed that section is not called a Freeway. You may think you are on a Freeway but watch out, just like the stretch between San Luis Obispo and Santa Margarita. Then yesterday evening a deer jumped off the Santa Barbara overpass, plummeting straight down onto the right lane, falling down right in front of me, ka-bang! There you go, not everything can be mitigated but safe roads can be constructed if the funding isn’t going to fund pensions while using a new high speed train project as an excuse for the funding razzel dazzle. Not sure how many wrecks happen there, but having been up and down that section many times, close calls along the non-freeway part of 101 are common – same with the Cuesta Grade. The businesses would rail against making it a freeway, but the dangers involved with the way it is now are not worth it. Heading north on 101 there’s a sign and flashing yellow light right before that Wellsona intersection. But going southbound there’s only a sign, no flashing light. Not sure it would’ve made a difference but it couldn’t hurt. I travel that stretch daily and can’t tell you how many times I’ve seen trucks with tractor trailers pulling out in front of cars that are going 65-75MPH. It’s a very, very dangerous intersection. It’s well past time that intersection gets some serious consideration for re-engineering. So many fatalities there involving tractor-trailer rigs. Not bashing law enforcement but I’d suggest that the CHP that patrols that area every single day parks right there at the RV park or at the truck stop instead of hiding behind the bush just up the road, looking for speeders. If the CHP parked in full view near that intersection, they’d both deter speeding cars AND maybe cause the semi-trucks to think twice before pulling out in front of others. They could park an empty car there even and deter bad drivers and then still hide in their bushes and make $$. It is sad.